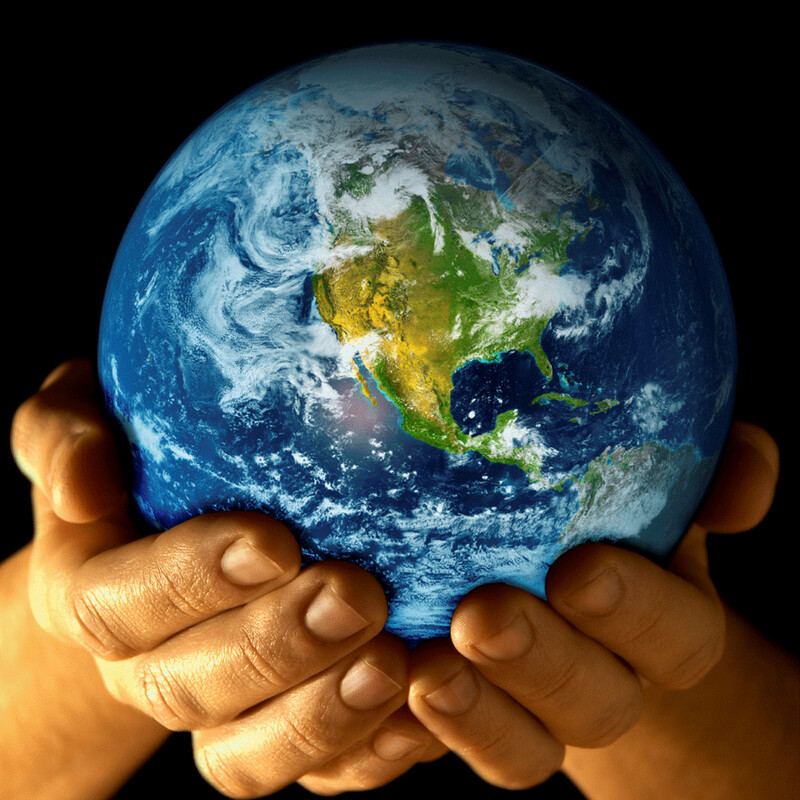 A fuel is defined as a material that stores potential energy that, when released, can be used as heat energy. A fuel can be a stored as a form of chemical energy which is released through combustion, nuclear energy which is a source of heat energy, and at times, chemical energy that is released through oxidation without combustion. Chemical fuels can be categorised into common solid fuels, liquid fuels and gaseous fuels, along with biofuels and fossil fuels. Furthermore, these fuels can be divided into the basis of their occurrence; primary – which is natural, and secondary – which is artificial. 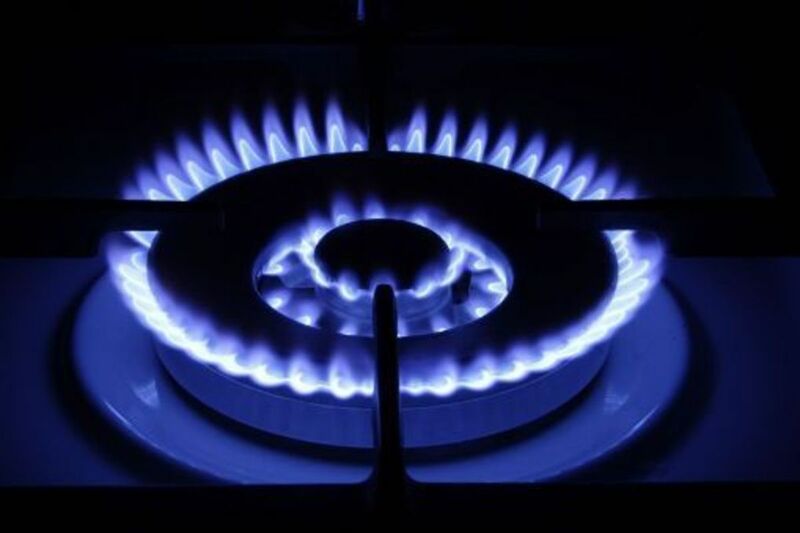 For example, coal, petroleum and natural gas are primary types of chemical fuel while charcoal, ethanol and propane are secondary types of chemical fuel. Alcohol is a liquid form of chemical fuel with the general formula of CnH2n+1OH and includes common types such as methanol, ethanol and propanol. Another such fuel is butanol. A significance of these four stated substances, known as the first four aliphatic alcohols, are that they can be synthesized both chemically and biologically, all have high octane ratings which increase the fuel efficiency, and exhibit/have properties that allow the fuels to be used in internal combustion engines. deriving as a co-product of propylene oxide production via isobutane, by the catalytic hydration of isobutylene and from a Grignard reaction of acetone and methylmagnesium for tert-butanol. The chemical structures of the butanol isomers follow a 4 chain structure as seen below, each showing different placement of the hydrocarbon. These are made with the molecular formulas C4H9OH for n-butanol, CH3CH(OH)CH2CH3 for sec-butanol and (CH3)3COH for tert-butanol. All are of the basis of C4H10O. The Kekulé Formulas can be seen in the image. From these structures, the exhibited traits of energy release are primarily due to the bonds which all isomers have. For reference, methanol has a single carbon (CH3OH) while butanol has four. In turn, more energy may be released through the molecular bonds which may be broken in butanol compared to other fuels, and this amount of energy is shown below, among other information. The enthalpy of combustion that a single mole of butanol will produce 2676kJ/mol. The hypothetical average bond enthalpy of a butanol structure is 5575kJ/mol. Finally, depending on the acting intermolecular forces experienced in the different isomers of butanol, many different properties may be altered. Alcohols, in comparison to alkanes, not only exhibit the intermolecular force(s) of hydrogen bonding, but also van der Waals dispersion forces and dipole-dipole interactions. These affect the boiling points of the alcohols, the comparison between an alcohol/alkane, and the solubility of alcohols. 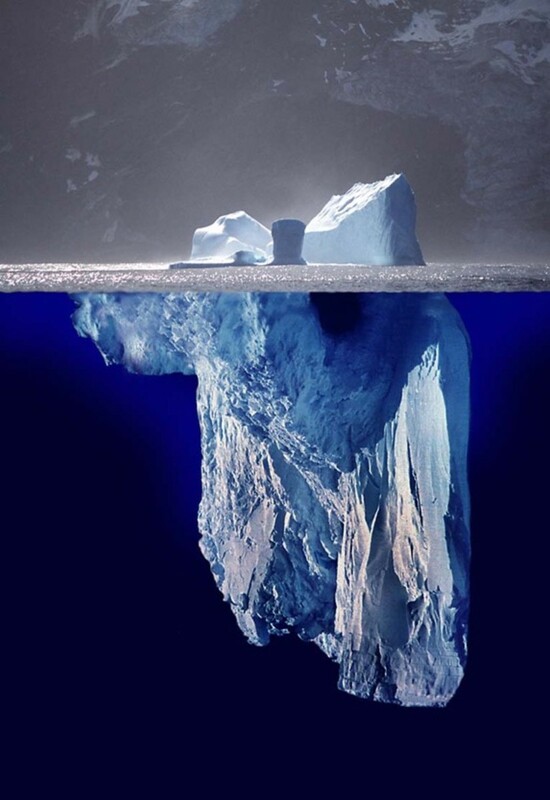 Dispersion forces will increase/become stronger as the number of carbon atoms increases in the alcohol - making it bigger which in turn requires more energy to overcome said dispersion forces. This is the driving force to the boiling point of an alcohol. 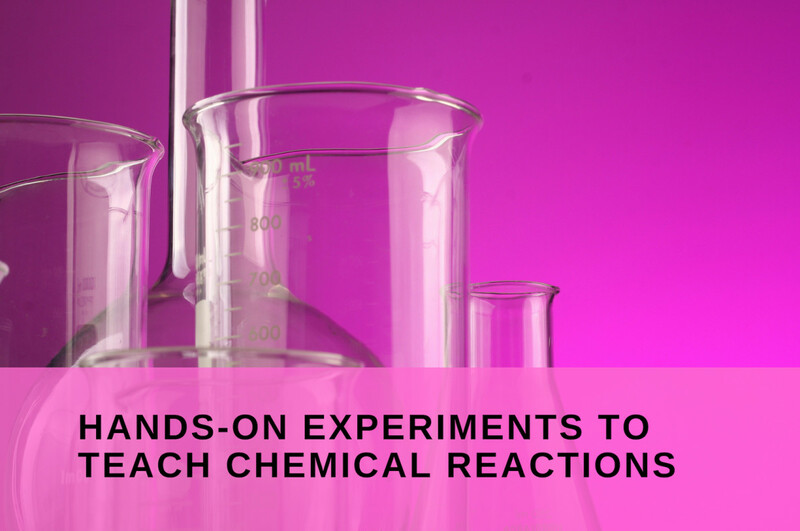 The basis for doing this study is to determine the values and results produced from different isomers of butanol, including the heat energy combustion and chiefly, the resulting heat energy change that it will convey. These results will therefore be able to show the altering levels of efficiency in the different fuel isomers, and as such, an educated decision as to the most efficient fuel can be interpreted and perhaps transferred to the increased use and production of that best fuel in the fuel industry. That the heat of combustion and resulting heat energy change of water given by the first two isomers of butanol (n-butanol and sec-butanol) will be greater than that of the third (tert-butanol) and, relative between the initial two, that n-butanol will have the greatest amount of energy transferred. The reasoning behind this is because of the molecular structure of the isomers, and the specific properties like boiling points, solubility, etc., that come with them. In theory, due to the placement of the hydroxide in the alcohol, along with the acting van der Waal forces of the structure, the resultant heat of combustion will be greater and therefore energy transferred. The aim of this experiment is to measure the values of the amount used, temperature increase and heat energy change gathered from different butanol isomers, being n-butanol, sec-butanol and tert-butanol, when burnt and to compare the results collected to find and discuss any trends. The chosen outcome measurement of temperature change (in 200ml of water) was chosen as it will consistently represent the temperature change of the water in response to the fuel. In addition, it is the most accurate way to determine the heat energy of the fuel with the available equipment. 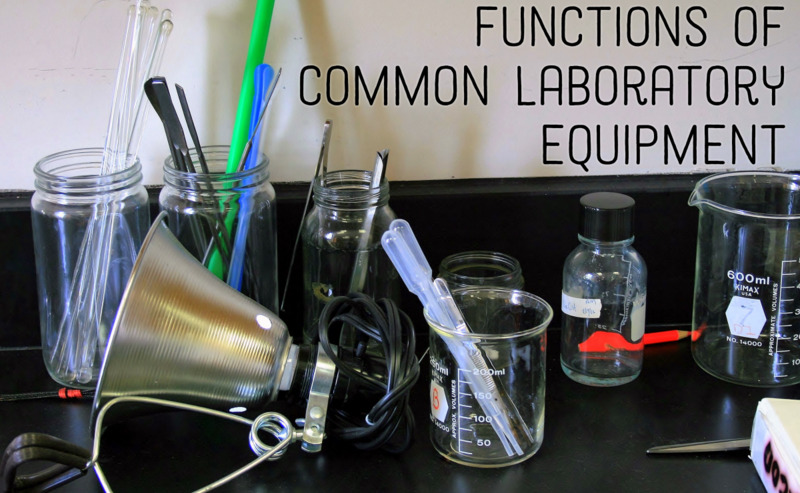 In order to ensure the experiment would be accurate, measurements and other variables had to be controlled such as the amount of water used, equipment/apparatus used and the assigning of the same task to the same person throughout the testing period to ensure steady recording/setup. However, variables which were not controlled included the amount of fuel used and the temperature of various items of the experiment (i.e. water, fuel, tin, environment, etc.) and the size of the wick in the spirit burners for the different fuels. 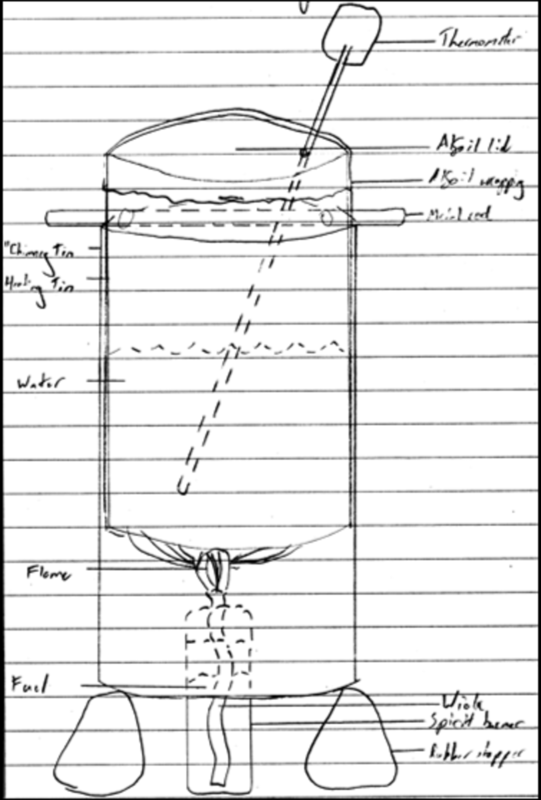 Finally, before testing began on the requisite fuels, preliminary testing with ethanol was performed to test out and improve the design and apparatus of the experiment. Before modifications were made, the apparatus produced an average efficiency of 25%. Modifications of alfoil covering (insulation) and a lid raised this efficiency to 30%. This became the standard/base for the efficiency of all future tests. An amount of fuel was placed into a spirit burner so that the wick was almost fully submerged or at least entirely coated/damp. This was equal to approximately 10-13ml of fuel. Once this had been done, measurements of weight and temperature were done on the apparatus, specifically the burner and filled tin of water. Immediately after measurements were taken, as an attempt to minimize the effect of evaporation and vaporization, the spirit burner was lit and the tin can chimney apparatus was placed above on in an elevated position. Ensuring the flame did not dissipate or snuff, a five minute time was given for the flame to heat the water. After this time, an immediate measurement was taken of the water temperature and the weight of the spirit burner. This process was repeated twice for each fuel. The mean and standard deviation were calculated using Microsoft Excel and was done for the recorded data of each butanol isomer. The differences in averages were calculated through subtracting them from one another with the percentages then calculated by dividing. Results are reported as Mean (Standard Deviation). Due to the potential safety issues of handling fuel, there are many issues that must be discussed and covered including the potential problems, proper usage and implemented safety precautions. The potential problems revolve around the misuse and uneducated handling and lighting of the fuel. As such, not only is spillage, contamination, and inhalation of possible toxic substances a threat, but also burning, fire and burnt fumes of the fuels. Proper handling of the fuel is the responsible and careful handling of the substances when being tested which if ignored or not followed may cause the previous stated threats/problems. Therefore, in order to ensure safe experimental conditions, precautions are put in place such as usage of safety glasses while handling fuels, adequate ventilation for fumes, careful movement/handling of fuels and glassware, and finally a clear experimental environment where no outside variables may cause accidents. Experimental Design Below is a sketch of the used experimental design with added modifications to the base design. 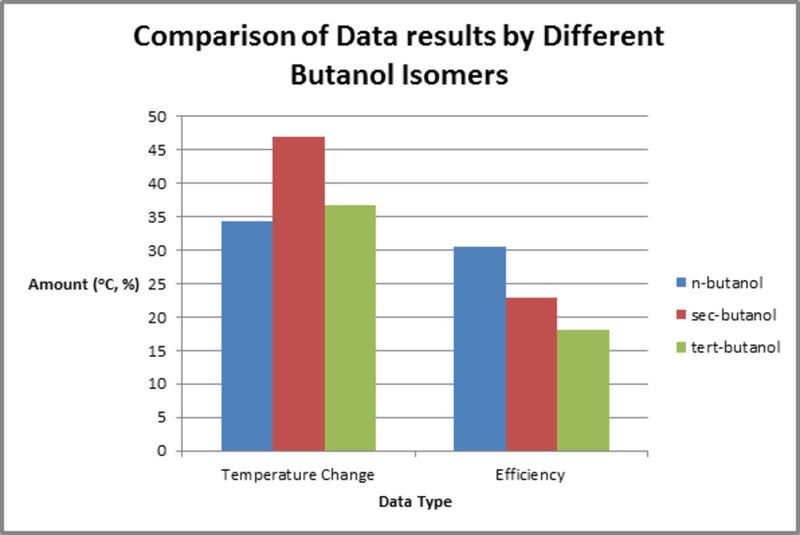 The chart above shows the temperature change exhibited by the different isomers of butanol (n-butanol, sec-butanol and tert-butanol) along with the calculated efficiencies of the collected data. At the end of the 5 minute testing period, there was an average temperature change of 34.25o, 46.9o and 36.66o for the n-butanol, sec-butanol and tert-butanol fuels respectively and, after calculating the heat energy change, an average efficiency of 30.5%, 22.8% and 18% for the same fuels in the same order. The results clearly show a trend exhibited by the differing butanol isomers relative to their molecular structure and placement of the functioning group of alcohol. The trend showed that the efficiency of the fuels lowered as they advanced through the tested isomers and as such, placement of the alcohol. In n-butanol for example, the efficiency was seen to be 30.5% and this can be attributed to its straight chain structure and terminal carbon alcohol placement. In sec-butanol, the internal alcohol placement on a straight chain isomer lowered its efficiency, being 22.8%. 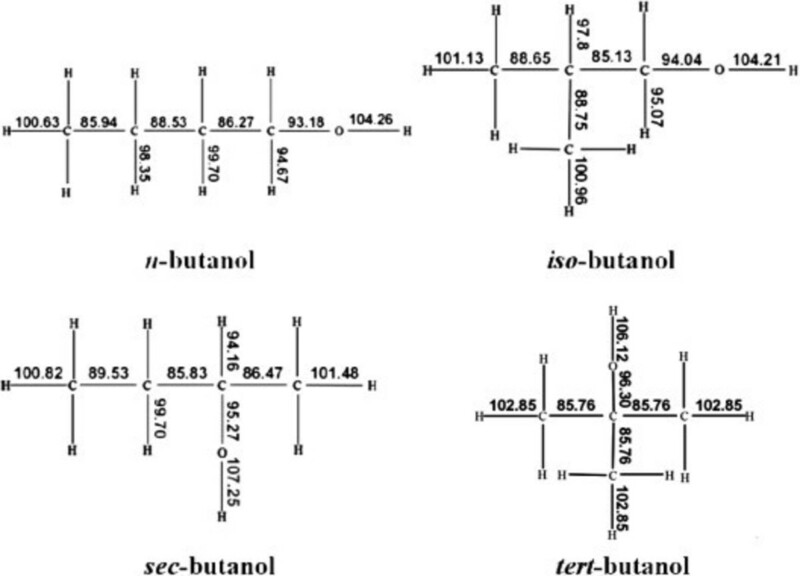 Finally in tert-butanol, the achieved 18% efficiency is a result of the branched structure of the isomer, with the alcohol placement being the internal carbon. Possible answers to this trend occurring would either be a mechanical error or due to the structure of the isomers. To elaborate, the efficiency decreased as subsequent tests were performed, with n-butanol being the first tested fuel and tert-butanol being the last. As the trend of decreasing efficiencies (with n-butanol showing a +0.5% increase to the base, sec-butanol showing a -7.2% decrease and tert-butanol showing a -12% decrease) was in the order of testing, it may be possible that the apparatus quality was affected. Alternately, due to the structure of the isomer, for example, a straight chain like n-butanol, the properties affected by said structure like boiling point, in collaboration with the short testing period, may have produced these results. Alternately, another trend is visible when looking at the average heat energy change of the isomers. It can be seen that the placement of the alcohol has an effect on the amount. For instance, n-butanol was the only isomer tested where the alcohol was situated on a terminal carbon. It was also a straight chained structure. As such, n-butanol exhibited the lowest amount of heat energy exchange despite its greater efficiency, being 34.25o after the 5 minute testing period. Both sec-butanol and tert-butanol have the functioning alcohol group internally on a carbon, but sec-butanol is a straight chained structure while tert-butanol is a branched structure. From the data, sec-butanol demonstrated significantly higher amounts of temperature change compared to both n-butanol and tert-butanol, being 46.9o. Tert-butanol gave 36.66o. This means the difference in averages between the isomers were: 12.65o between sec-butanol and n-butanol, 10.24o between sec-butanol and tert-butanol and 2.41o between tert-butanol and n-butanol. The main question to these results though is how/why they occurred. A number of reasons revolving around the shape of substances provide the answer. As stated previously, n-butanol and sec-butanol are straight chained isomers of butanol, while tert-butanol is a branched chained isomer. The angle strain, as a result of differing shapes, of these isomers destabilise the molecule and result in higher reactivity and heat of combustion - the key force which would cause this heat energy change. Due to the straight angle natures of the n/sec-butanols, the angle strain is minimum and in comparison the angle strain for tert-butanol is greater which would result in the gathered data. In addition, tert-butanol has a greater melting point than n/sec-butanols, being more structurally compact which in turn would suggest it would require more energy to separate the bonds. A question was raised in reference to the standard deviation of efficiency which tert-butanol exhibited. Where both n-butanol and sec-butanol showed standard deviations of 0.5o and 0.775o, both being under 5% difference to the mean, tert-butanol showed a standard deviation of 2.515o, equalling a difference of 14% to the mean. This may mean the data recorded was not evenly distributed. A possible answer to this issue may be due to the time limit given to the fuel, and its traits which were affected by said limit, or by a fault in experimental design. Tert-butanol, at times, is solid at room temperature with a melting point of 25o-26o. Due to the experimental design of the test, the fuel may have been pre-emptively affected by the heating process in order to make it a liquid (therefore viable for testing) which in turn would affect its exhibited heat energy change. Variable in the experiment which were controlled included: the amount of water used and the time period for testing. Variables that were not controlled included: the temperature of the fuel, the temperature of the environment, the amount of fuel used, the temperature of the water and the size of the spirit burner wick. Several processes could be implemented to improve these variables, which would entail greater care in measuring the amount of fuel used in each experimental stage. This would expectantly ensure more even/fair results between the different used fuels. 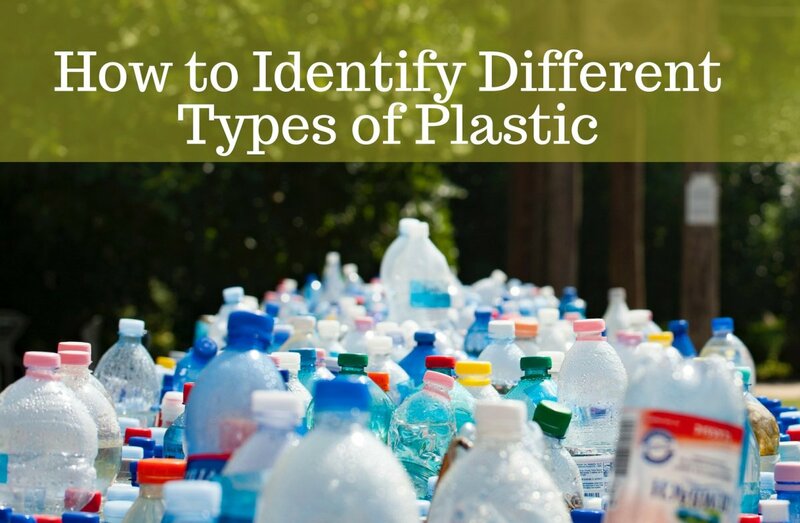 In addition, by using a mixture of water baths and insulation, the temperature problems could be resolved which in turn would better represent the results. Finally, the use of the same spirit burner that had been cleaned would keep the size of the wick stable throughout all experiments, meaning the amount of fuel used and temperature generated would be the same rather than sporadic with different sized wicks absorbing more/less fuel and creating larger flames. Another variable which may have impacted the results of the experiment was the inclusion of a modification of the experimental design - specifically an alfoil lid on the heating/storage tin. This modification, aiming to reduce the amount of heat lost and the effects of convection, may have indirectly caused an 'oven' type effect which could have increased the temperature of the water as an added acting variable apart from the flame of the fuel burnt. However, due to the small time frames of testing (5 minutes) it is unlikely that an efficient oven effect was produced. The next logical step which should be followed to give a more precise and comprehensive answer to the study is simple. Better experimental design of the experiment – including the use of more accurate and efficient apparatus whereby the energy of the fuel is more directly acted upon the water, and increased periods for testing – including the time limit and number of tests, would mean that better traits of the fuels could be observed, and far more accurate representations of said fuels. The results of the experiment has raised a question on the patterns of molecular structure and placement of the alcohol functioning group of fuels, and the traits that each may exhibit. This can lead onto the direction of searching for another area that could be improved or further studied in terms of fuel heat energy and efficiency, such as the placement of a hydroxide group or the shape of the structure, or what effect different fuels and their structure/functioning group placement have on heat energy or efficiency. The research question of 'what will the heat energy change and efficiency of fuel be in reference to the isomers of butanol?' was asked. An initial hypothesis theorised that, due to the placement of the alcohol and structure of substances, that tert-butanol would exhibit the lowest amount of temperature change, followed by sec-butanol with n-butanol being the fuel with the greatest amount of heat energy change. The results gathered do not support the hypothesis and in fact show the almost the opposite. n-butanol was the fuel with the lowest heat energy change, being 34.25o, followed by tert-butanol with 36.66o and sec-butanol on top with a difference of46.9o. However, contrasty the efficiency of the fuels followed the trend predicted in the hypothesis, where n-butanol showed to be the most efficient, then sec-butanol and then tert-butanol. The implications of these results show that the traits and properties of fuels alter depending on the shape/structure of the fuel and to a greater extent, the placement of the acting alcohol in said structure. Real-world application of this experiment shows that in terms of efficiency, n-butanol is the most efficient isomer of butanol however sec-butanol will produce the greater amount of heat. Programme Standard Level. Melbourne: Pearson Australia. Adam Hill (May 2013). What is Butanol?. 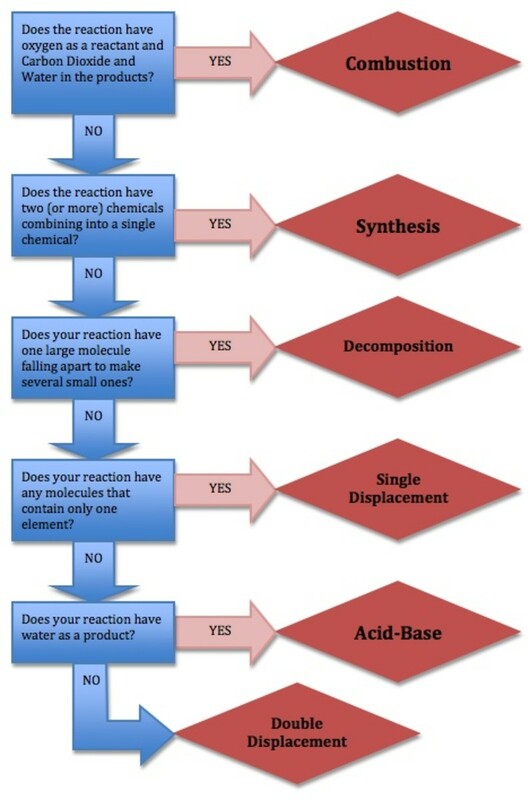 Retrieved July 26, 2013, from http://ww w.wisegeek.com/what-is-butanol.htm. Chisholm, Hugh, ed. (1911). "Fuel". Encyclopædia Britannica (11th ed.). Cambridge University Press. R. T. Morrison, R. N. Boyd (1992). Organic Chemistry (6th ed.). New Jersey: Prentice Hall. 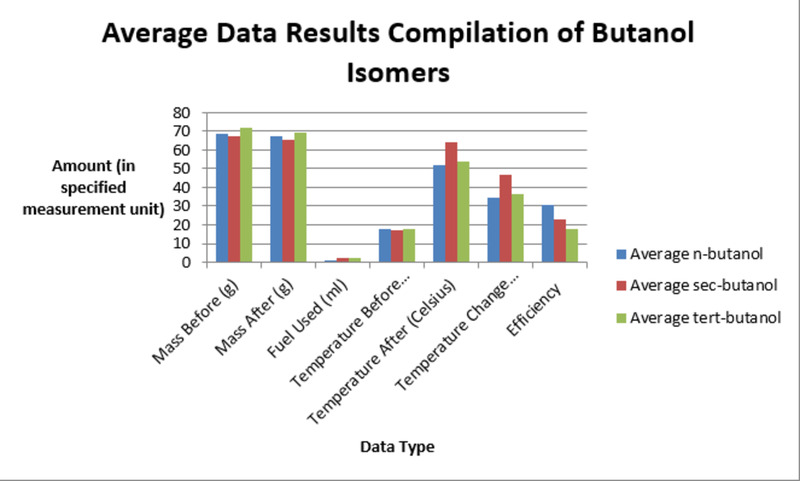 A compilation of average results gathered from the isomers of butanol.